Not Kinnego House (as it's mostly demolished), but part of the estate. A member of the Nicholson family of Falmore House lived at Kinnego House over looking Kinnego Bay. The family seat was Balloo House, near Bangor. James Steele Nicholson, owner of over 6,000 acres in Inishowen , records his visits to the Glen, as people called it, in the mid-1800s. It is also likely that Bishop Montgomery, father of the Field-Marshall, was a visitor here as he was a keen hunstman and did a lot of hunting in the Kinnego Bay area. Dan McMullan was the last owner of the property; there were two houses some distance apart and both two-storey, the upper and the lower. The top storey of the upper house has been partly demolished and the ground floor has been converted into a farm shed. This was once known as Kinnego House. 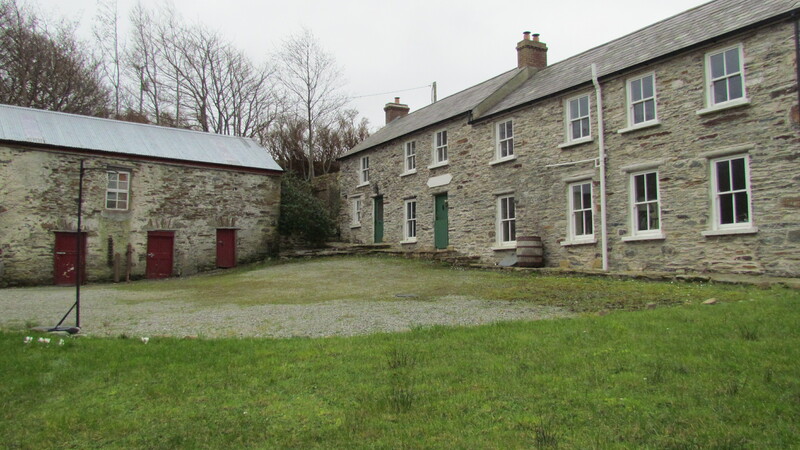 The lower house is still standing and has all the appearances of a landlord connection – slated, gates, driveway, wallsteads, farm buildings, farmyard, walled fields, a possible mill race and other minor features. The house has been beautifully restored and is a real gem. The original stone work can be seen; the chimneys are edged with yellow brick and the two-storey farm buildings are in good repair. It’s great to see a local property getting the full conservation treatment so give a round of applause to the current owners. The Spanish Armada ran into difficulties here and one of the guns can be seen in the Tower Museum in Derry. The beach is superb for swimming. Dan Brennan recalls that at one time, Pat McMullan, father of Dan McMullan, lived in Kinnego House. Alex McMullan lived in the lower house. As far as I remember, Dan McMullan was an active member of the Society of St. Vincent de Paul, based at Ballinacrae church and a keen farmer. He was an eloquent speaker and this may be the reason why he “gave out” the prayers in Ballinacrae during October. He was active in a number of community organisations.